You have stumbled upon my corner of the internet; a self-serving and at times self-aggrandising site, of which I am equal parts proud and ashamed. I ask that you take pity on yours truly, appreciating for a brief moment how tricky it can be to parade one’s wares with modesty; a task that proves particularly awkward when opting to eschew the recommended third-person pretence. The net effect: a startling abundance of uncomfortable, self-important sounding first-person pronouns. Well, thanks for stopping by. Maybe we’ll meet someday…? In the meantime, feel free to stick around and don’t be a stranger! Excuse the silence and stale air around these parts. My main computer/workstation has been switched off for 8 months; probably the longest I've gone without a computer since I was about 8 years old. My new website is finally live! The paint is still a little fresh, so please excuse the odd quirk and/or missing content. 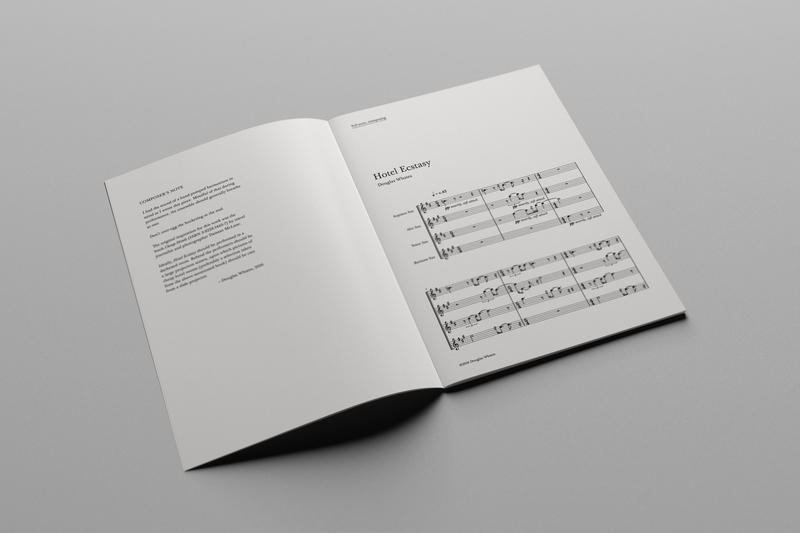 RE: Works section, there’ll be more scores to download before too long, as well as info for each composition.